Recently I found interesting online tool called Flickr Album Maker. 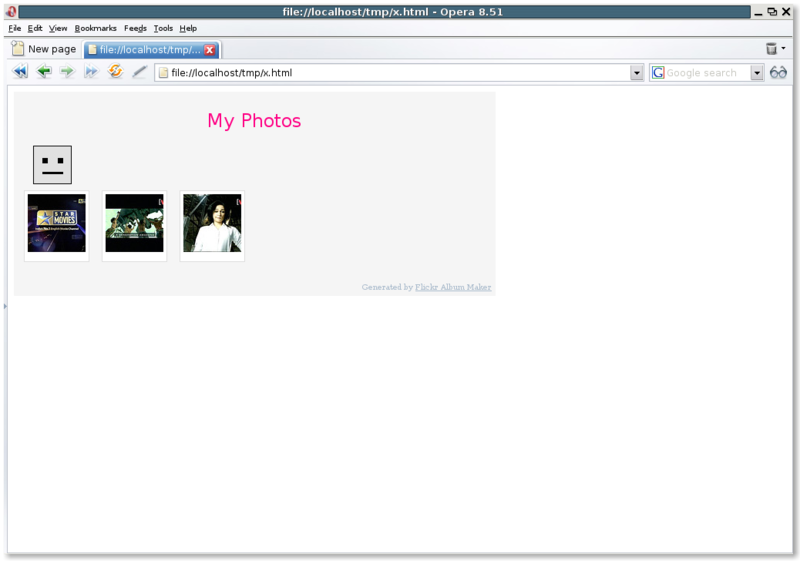 With this tool, you can create very nice online photo gallery of all your photo in zippy for your blog or website. Visit Flickr Album Maker online form and it will create ready-to-paste HTML code for your photo gallery after submitting your information. You can get lots of other nice tool at fd’s Flickr Toys. You can create a slideshow and share it with your friends.